Twins. There are so many reasons that couples might have their eyes set on a twin pregnancy. Sometimes, couples might want to have twins because they are part of a twin family themselves, and they want to carry on the tradition. Sometimes, couples want to have their kids close together in age, and what could be closer together than twins? This article is meant to be a guide for women who want to get pregnant with twins, as well as tips and tricks for being pregnant with twins. This article is meant to be a guide for women who want to get pregnant with twins, and show them not only how to get pregnant with twins (well, increase the chances, since there is no real way to guarantee getting pregnant with twins!) but tips and tricks for being pregnant with twins as well. Twin pregnancy is no easy task, and for women who are blessed with the ability to bring two babies into the world at the same time, there are definitely some things that need to be done and need to be remembered so that pregnancy, birth and beyond can be as successful and as easy to navigate as possible. What are My Odds of Having Twins? The average couple has about a 3 percent chance of having twins in any given pregnancy, or in other words, about 3 in 100 births will be twins. Identical twins are twins that result as one embryo splitting into two separate embryos. Identical twins are random and happen completely by chance. This means that there is no way to increase the chances of having identical twins. However, the odds of having fraternal twins is somewhere around one in 250 births. As you can see, fraternal twins are much more common than identical twins. In fact, doctors and other experts say that they have seen an increase in the rate of fraternal twin births by more than 40% since the early 1980’s. Why the uptick in twin births? 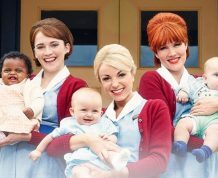 We are not really for sure, but some experts say more couples opting for fertility treatments is one reason, and more women waiting until later in life (when they have a greater chance of becoming pregnant with twins naturally) is another reason. Fraternal twins are twins that are created from two separate embryos, and grow at the same time in the womb. Something that most people do not even realize is that fraternal twins are no more related than any other pair of siblings. That is, they are actually just two siblings that were conceived around the same time, and grew together in the womb. Fraternal twins are just wombmates. While there is nothing that can be done to actually increase the likelihood of having identical twins, there are some different things that factor in to increasing the chances of having fraternal twins. Another random fact? Researchers say that as many as 10 to 15 percent of all singleton births may have actually started out as twins. Many times, one of the twins is lost in a mysterious phenomenon called “vanishing twin syndrome,” which occurs very early on in a pregnancy. It is a little bit crazy to learn about, and there are many articles and videos online about this subject if you are interested in learning more. For now, however, you can read on to find out more about some of the factors that help to increase the chances of having twins and some of the factors that we can help, or the ones that are just simply left up to chance. One of the most pronounced factors that contribute to the chances of having twins would have to be maternal age. 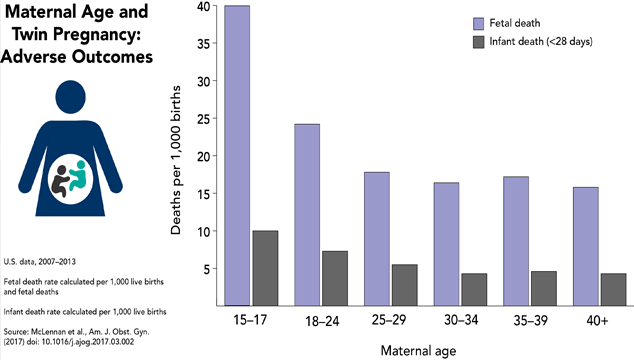 Women who are over age 30 are most likely to have twins. This is because as a woman gets older, her levels of FSH, or Follicle Stimulating Hormone, begins to rise. Follicle Stimulating Hormone (FSH) is what is responsible for the growth and development of eggs in a woman’s body. As a woman gets older, the FSH levels continue to rise. Sometimes, this can cause more than one egg to be released in a given month. This is when an increased chance of fraternal twins can occur. This is a little bit counter intuitive, because older women are less likely to get pregnant, but if and when they do get pregnant, they are more likely to have twins. Women who already have one set of fraternal twins are more likely to give birth to another set of twins later on. In fact, experts say that women who have already give birth to one set of twins are twice as likely to have another set of twins. But, what about family history? Do twins really and truly run in families? Well, yes and no. Since identical twins are a thing that can’t be controlled and is left up to chance, identical twins can’t really run in families.However, fraternal twins do seem to run in families. This doesn’t mean that you can catch the “having twins” gene or anything like that. It does mean, however, that some of the health issues or problems that exist in women who are more likely to have twins will be able to be passed on to other family members. For example, certain ovulation issues that can cause more than one egg to be released can run in the women of a family. This can cause more than one female member of a family to have twins. So many times, the hereditary nature of twins is really just inheriting some type of ovulation issue, rather than about inheriting twins! Another really important factor when it comes to increasing the chances of having twins is in regards to a woman’s height and weight. For some reason, it seems that women who are taller have a bigger chance of having twins. Studies show that women who are 5’4 and above, are much more likely to have twins. However, scientists really have no idea why this is, they just know that it is a thing. It doesn’t really make a lot of sense to us, but it’s certainly interesting and is definitely something to keep in mind. When it comes to weight, this is another big factor when it comes to the likelihood of having twins, but this one is a little bit more easily explained. As it turns out, women who are considered obese, with a body mass index (BMI) of 30 or higher, are much more likely to get pregnant with twins. This might not make much sense, since women who are overweight are usually less likely to get pregnant than women who are at a healthy weight. However, women who are heavier have much higher hormone levels and higher levels of estrogen, due to the extra fat. These extra hormones can lead to “tricking” the body into releasing more than one egg in a given month, which equals getting pregnant with twins. This one is pretty self explanatory, but women who have had multiple pregnancies or multiple children before have a higher chance of getting pregnant with twins. Experts don’t know if it’s a sheer numbers game, meaning more children mean more twins, or if it has something to do with the way a woman’s body changes after multiple pregnancies, but the more pregnancies a woman has had, the higher the chances of her having twins. If you are already a mom to a few kiddos, it’s a good idea to keep this one in mind since it really randomly ups your chances of having twins. 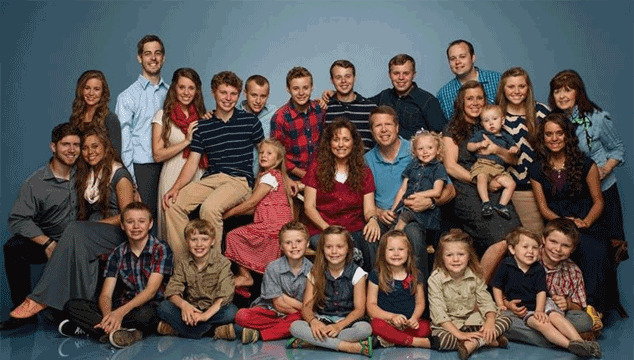 Think of the many big families you know, with 7, 10, 11, or 19 kids (Duggars)! Generally speaking, there’s a set of twins or two in there somewhere! For whatever reason, experts have noticed that women of different races and cultures have different chances of getting pregnant with twins. For example, African American women and Caucasian women are much more likely to have twins than any other culture or race. Hispanic and Asian women are less likely to have twins, although experts are not really sure why this is. However, the number one most common culture and ethnicity of women to become pregnant with twins are the women of the Yoruba Tribe of Nigeria. 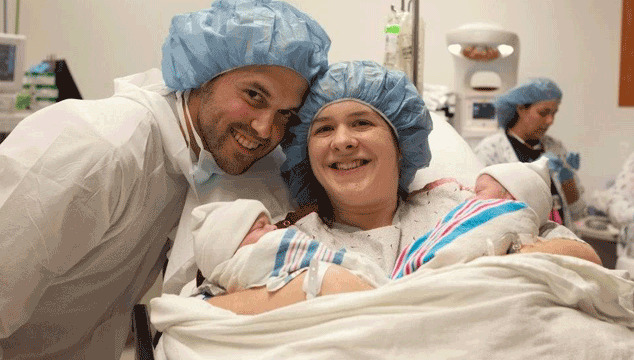 These women boast an impressive 45-50 twin births for every 1000 live births in the country. That is a crazy high amount, and experts think that they have actually pinpointed the increased chances of having twins down to one surprising factor: wild yams. Yes, that is correct, wild yams, which make up most of the Yoruba tribe’s diet. For some reason, yams have shown a tendency to over stimulate the ovaries. Experts say that this is the reason that the women of this tribe have such a high likelihood of having twins. So you want twins? Consume a heck of a lot of yams – or move to Nigeria! Another interesting aspect regarding the chances of having twins involves breastfeeding. As it turns out, women who have recently had a baby and are still breastfeeding are more likely to get pregnant with twins in the chance that they do end up pregnant. The reason for this is the fact that the body produces more prolactin when a woman is breastfeeding, and prolactin is a hormone that can help to release more than one egg during a given month. One of the most important things in regards to any actual bodily functions of our body is our diet. Most of us really don’t know or completely and fully understand what an important role that diet plays in our lives, but in fertility in particular. Experts say that there is a huge link between diet and the likelihood of having twins. Of course, we have already pointed out the connection between wild yams and having twins, but that is something that does not apply to very many of us. However, many women opt for low fat or fat free foods, namely dairy products, in order to make themselves healthier. However, this is not always recommended, especially for women who have a desire to conceive twins. This is because full fat, whole dairy products have been shown to give an increased chance of twins in women who consume a lot of them. Why is this that women who consume full fat dairy products have a higher chance of getting pregnant with twins? Most experts believe that it is the cows who were treated with hormones when they were being raised. That’s right, the cows were treated with hormones, which were then passed on to women via the dairy products they consumed. These hormones can make it more likely for a woman’s body to release two or more eggs in a given month, which can make getting pregnant with twins more likely. So get the milk that does not claim the cows were NOT treated with hormones. Another really common factor when it comes to getting pregnant with twins is the use of assisted reproductive technology. There are so many different types of assisted reproductive technology, or ART, that can really help couples to get pregnant when they feel like they have maybe exhausted all of their options. For women who use these techniques in order to get pregnant, the increased chances of twins is definitely something to be aware of, and definitely something that women should take into consideration. The reason for this is that fertility treatments and other fertility medications have a tendency to stimulate the ovaries, and make it much more likely for a woman’s body to release multiple eggs at one time. This can make twins or higher order multiples much more likely for women who take part in fertility treatments or fertility drugs. 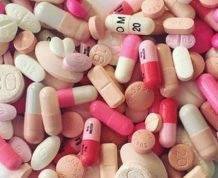 When it comes to oral fertility medications like Clomid, it is a possibility that these drugs will over stimulate the ovaries and cause the body to release two or more eggs in a given cycle. If these eggs are fertilized at the right time, a woman can become pregnant with twins. The chance of getting pregnant with twins while taking Clomid jumps to 10% from your standard 3% rate. 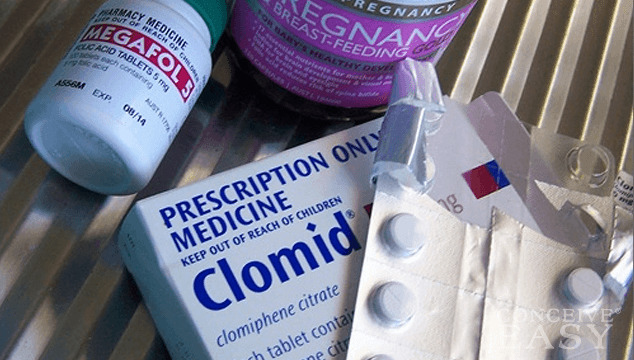 Clomid is especially a huge factor in the uptick, as it is prescribed so freely and readily. And especially for those women who already ovulate on their own, an added boost of Clomid can be like a huge kick in the pants toward twindom! The same thing can happen if a woman has fertility treatments like injection gonadotropins, causing twins or multiples. 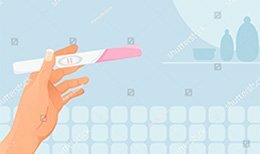 The chances go up or down depending on lots of different factors like a woman’s age, her overall health, and how much medication she is on, or how many embryos were implanted if she had IVF. A woman’s doctor can give her a much better idea about her chances of having twins depending on her particular case. Once a woman becomes pregnant with twins, there is so much to remember and so much to keep in mind. It really is a whole new world, once a woman becomes pregnant with twins. Even for women who have already had kids before, being pregnant with twins is totally different. There is so much to learn, and women really need to remember that getting pregnant with twins is probably something that they have never experienced before and are not likely to experience again. However, there are lots of things to remember and keep in mind that are different about twin pregnancies as opposed to single baby pregnancies. Read on to find out more, and you will be completely and totally prepared for your twin pregnancy! Pregnant With Twins: Now What? Being pregnant with twins can be especially overwhelming! There is so much to do and so much to keep in mind, it’s very confusing, especially at the beginning. Chances are your first inkling that you might have twins could be your early pregnancy symptoms. You may be more nauseous than with a singleton, or you may suffer from more fatigue. So you go to the doctor for that first dating ultrasound, to check on the heartbeat, and BAM! You see more than one heartbeat, more than one little bean – and then reality takes hold… YOU’RE HAVING TWINS! After this, your doctor will devise a plan to help you with your most successful pregnancy possible. You will likely be seeing the doctor often, and may even be getting ultrasounds at every appointment. This is probably also the time that your doctor will want you to start on prenatal vitamins, if not sooner. Prenatal vitamins can help to make sure that women are getting the vitamins, minerals and nutrients that they need in their daily routine, and to make sure that even if their diets are not the greatest, that women can still have a healthy pregnancy. After you find out that you are having twins, the most important thing to do (after the shock has worn off!) is to make a plan. Having twins can be surprising and even shocking, but don’t get too overwhelmed. Work with your partner to come up with a detailed list of all the things that you need to do during your pregnancy to get ready for your babies. This way, you will be able to break the list down into manageable tasks and this will help you to have everything you need done for babies, and still not be too overwhelmed. This means morning sickness, fatigue, and general malaise of early pregnancy can definitely be worse, especially at the beginning. If being pregnant with one baby can be exhausting and make you feel horrible in the beginning, being pregnant with two babies is even more strain on the body. Be prepared, and know that it is coming. Get as much rest as you possibly can, especially in the beginning of your pregnancy. If you can afford to cut back on your hours at work, do so in order to get more rest. Take as many naps as possible, whenever you can, and try to get to bed earlier in order to get more sleep. If family and friends offer to take over daily tasks or household chores for you in order for you to get caught up on more sleep, be sure to take them up on those offers, and enjoy the help you have around you. If you thought growing a single baby inside of you wore you out, watch what happens when you double that! Whatever you can do to get as much rest as possible, especially during those rough early months when you will feel exhausted, will be a great asset towards you in your pregnancy with twins. Of course, as we all know, morning sickness doesn’t just come in the morning. It can come anytime during the day or night, and can last for hours, days, or even longer. Most women who have had twins also report that their morning sickness with twins was much more severe than with their single pregnancies. 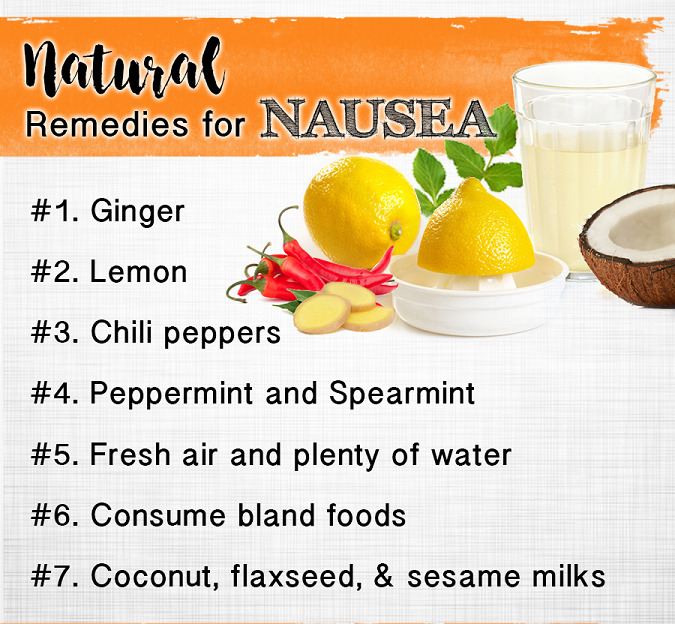 This is important to remember so that you can be prepared whenever that dreaded nausea hits. Make sure to keep taking your prenatal vitamins during this time, even though maybe you might not feel like it. You might have to also change the time during the day that you take your prenatal vitamin, maybe switching from nighttime to morning, or afternoon to evening, in order to cut down on your nausea. Eating small meals can also really help if your morning sickness feels like it is getting out of control. Some women report that this really helps them with their issues and helps them to feel better when they do eat. Make sure to have lots of things like crackers, ginger ale, and peppermints available too, since they can help to ease stomach issues and relieve nausea. You can even try Sea-bands acupressure wristbands for possible relief. There are tons of different morning sickness remedies out there and ideas of foods that might not be too hard on the stomach, so if you are suffering from any type of severe morning sickness, definitely look into ideas for ways to combat the dreaded nausea that overtakes a twin pregnancy. Another really important thing related to food and eating during a twin pregnancy is to remember that during a twin pregnancy, a woman needs a lot more protein than she would during a normal pregnancy, or when she is not pregnant at all. Protein needs are very important when a woman is pregnant with twins. Protein is not only good for helping to keep energy up during a very tiring time, but protein is also imperative for helping to grow not one, but two babies! Do not let this be something that you skimp out on during pregnancy!! Since this is one of the biggest things that will help to keep your body healthy and keep you feeling strong and energized during pregnancy. Protein is important for the production of amino acids in the body, which are responsible for repairing old tissue and also for production of new tissue in the body. Some experts even say that protein intake can help to prevent pregnancy complications in women who are pregnant with twins. The average, non pregnant woman will usually need between 50 and 75 grams of protein per day. For a woman who is expecting and having a normal singleton pregnancy, doctors usually recommend around 100 grams of protein per day. However, the average twin pregnant woman will need even more protein than that, usually recommended to be around 175 grams per day. This can ensure both a healthy mom and healthy babies during pregnancy. Do not take it lightly when it comes to protein, and make sure that you are getting enough of it. It can be the difference of making it full term and having big babies, or not. Now, getting up to 175 grams of protein per day can be a task in and of itself, however. That is not a shabby amount of protein, and to fit that much into their daily diet, women are definitely going to have to be proactive and are going to have to think ahead. One great plan is protein shakes. To reach the recommended amount of protein, women will probably need to drink not one, not two, but perhaps around THREE protein shakes per day in order to reach that number. However, protein shakes are not the only great source of protein out there. Greek yogurt, for example, contains about 23 grams of protein per serving, and cottage cheese comes in with about 14 grams of protein per serving. 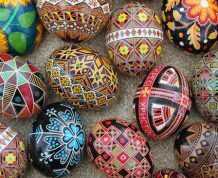 Eggs are pretty good as well, raking in about 6 grams of protein per egg. Milk can give you about 8 grams of protein per serving. Ground beef comes in with about 18 grams of protein per serving, pork chops have about 26 grams per serving, and chicken breasts have about 24 grams of protein per serving. Various fish can also provide a woman with quite a bit of protein, around 23-25 grams per serving, depending on the type. 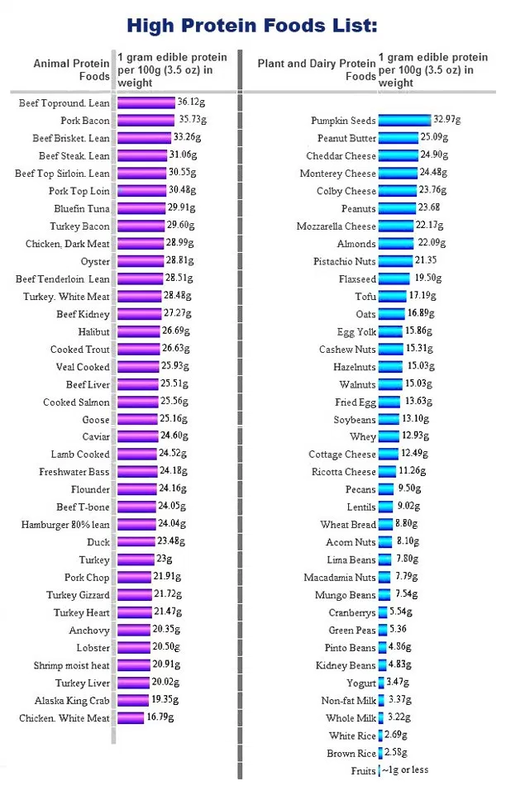 As you can see, it is possible to get that much protein in your daily diet, but it will definitely take some planning and some thinking ahead to get to that point. It’s also really important to remember that the weight gain associated with a twin pregnancy is definitely going to be different than the weight gain associated with a normal pregnancy. You really have to expect to gain more weight when it comes to being pregnant with twins. You want to gain more weight with a twin pregnancy, no matter what the doctor says! In a typical singleton pregnancy, the weight gain of the mother is not associated with the birth weight of the baby, however that is not the case with a twin pregnancy. With a twin pregnancy, the amount of weight a mom gains is directly related to how much the babies will weigh. This is very important, because many times, twins are born early and sometimes have a low birth weight. It’s super important that women gain enough weight to try to have both babies weigh 7 pounds or more at birth. Most women are encouraged by their doctors to gain between 40 and 50 pounds during their pregnancy with twins, depending on their pre-baby weight, health issues and more. However, some women find that their particular situations require them to try to gain 60-80 pounds during their pregnancy, and this is okay too. Especially considering your protein intake, it really isn’t that unreasonable to expect. A mom friend of mine recently had twins, each over 8 lbs (no preemies for her!) and she gained 80 lbs, and ate at leasat 175 grams of protein per day! Progesterone is especially important in twin pregnancies. 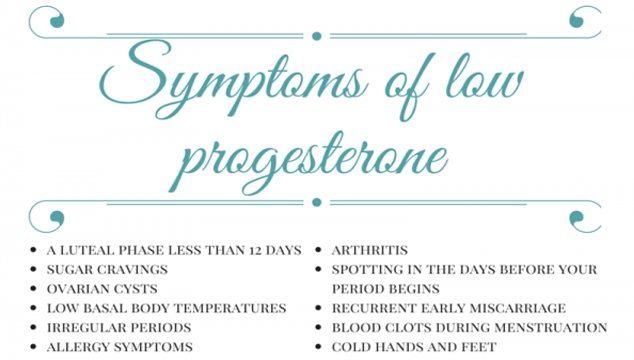 Progesterone can help to prevent preterm births, since low levels of progesterone are linked to early delivery. Some women will not need progesterone supplementation, but some women who already have low levels of this hormone will find it beneficial. It is suggested that women use progesterone cream daily during the duration of their pregnancy to help them make it to term, which is considered 37 weeks. Organic Excellence makes a great ‘feminine balance therapy’ cream on Amazon that works fantastically. We highly recommend it! One of the most well known things about twin pregnancy is that twin pregnancy can be very, very uncomfortable. Gaining much more weight, added pressure on the body, and just the whole general idea of being pregnant with twins can really take a big toll on a woman’s body. Women are notoriously uncomfortable during their pregnancies when they are pregnant with twins. There are, however, a few things a woman can do to make herself more comfortable during pregnancy. One really popular thing is to get a body pillow. Body pillows can make women much more comfortable when they sleep, which can be really hard to do when they are pregnant with twins. They make body pillows especially for pregnancy, but any body pillow can be really helpful for a pregnant woman, especially as they near the end of their pregnancy. There are other ways for women to try to stay comfortable during their pregnancies as well. First of all, comfy clothes are going to be a must, especially with a woman’s changing body as she grows two babies. Leggings are going to be a definite must for pants, and they can grow along with a woman during her pregnancy. You can also try out clothes from the guy’s department, as they can sometimes be roomier and comfier than women’s clothes. Definitely try different brands of maternity clothes to find out which are the most comfortable or the best fit for your body type. The point of the matter is, whatever it takes to make yourself comfortable during your pregnancy, do that! Twin pregnancies are much more complicated than singleton pregnancies, for a whole plethora of reasons. First of all, it’s important to remember that all twin pregnancies will be considered high risk pregnancies, and will probably require more doctor’s visit than the average pregnancy. But it doesn’t mean something will go wrong! Expect to have more doctor’s visits than usual, with ultrasounds usually at every appointment to check baby’s sizes. Keep in mind that while you are pregnant with twins, you will most likely probably have much more contact with your doctor than you have ever had before. Embrace this, and know that it is all the part of having healthy babies in the end. If you are pregnant with twins, you are probably already familiar with the fact that you might have to have bed rest at some point. This is to keep both mom and babies healthy, and can help to prevent preterm labor and premature birth, as well as many other complications.However, most of the time bed rest doesn’t start until AFTER there is a problem. This is why we are huge advocates of putting YOURSELF on modified bed rest. What we mean by that is that at around month 6 of pregnancy, it’s probably a good idea for women to start thinking about taking it easy and putting yourself on some type of a modified bed rest. This is most definitely for your own good and to help protect you and your babies from any sort of issue that might occur, like preterm labor and premature birth. The truth of the matter is, growing two babies at once is hard work. The bigger the babies get, the more gravity will begin to take over and the more the cervix will begin to thin. This is what can cause preterm labor and premature birth, so this is what we want to avoid at all costs. Ways to achieve this? Stay off your feet as much as you can. Spend most of your time on the couch, in the bed, or sitting down. This doesn’t mean that you can’t “do” anything, however. This just means that you are going to have to modify the way that you do things. Fold laundry while sitting on the couch, prepare dinner sitting on a barstool in the kitchen, and catch up on your emails while laying in the bed. Have your partner carry your other kids into bed. Find someone else to do your weekly shopping. Take it easy and go full-term! Simply put, the less time on your feet, the better. Start accepting and asking for help with daily tasks, especially ones that are really hard on the body like cleaning, scrubbing, and shopping. Ask dad or another family member or friend to help out with these things. Even if the doctor did not prescribe bed rest just yet, it is a great think ahead precaution to go ahead and try to stay off your feet as much as possible and take control of your own pregnancy health. You don’t want to wait too long until there is an actual problem before going on bed rest. Take control and go ahead and make the decision to stay off your feet as much as possible in order to increase your chances of a healthy (and full-term!) pregnancy. How to Get Prepared for a Twin Pregnancy? It’s also really important when you are pregnant with twins that you make sure to plan ahead. It’s a good idea to start early, making preparations and getting things in order for the babies, especially as you should be taking it really, really easy as you cruise through your 3rd trimester. No more 36 weeks pregnant, repainting the entire nursery. That is for those pregnant with singletons! Deciding on a place for the babies to sleep is a good place to start, and making lists of everything you are going to need will really help in the long run. It can also be extremely beneficial to start stocking up on different products that you know your babies are going to need, such as diapers, wipes, clothes, bath products and more. This way, once the babies come, you will already have many of the things you need. Getting your pets ready for your new babies is also a super important thing to do, and there are tons of articles and You Tube videos to prepare you for adding pets and babies to your house at the same time! Also, if you already have kids at home, you will definitely need to take the time to get them prepared for the new babies that will be joining your crew. Remember, for your kids, they are gaining not only one, but two new siblings, so you will have to take it slow for them and get them used to the idea! It’s also very important to plan ahead as to what will happen if you do happen to go into preterm labor or if you have to deliver early. If you have other children, who will watch them while you are at the hospital? If you have pets, who will take care of them while you are away? Who is going to check your mail? Bring in your newspapers or any packages? It might sound silly, but these are important things that you should definitely consider if you are pregnant with twins, because once these things pile up on you all at once, they can be quite overwhelming. Try to go ahead and get what you can squared away so that you don’t have that to worry about on your journey. Another important thing to consider is time off of work, whether it be vacation time or simply just time you have to take off of work to have your baby. If you get maternity leave or your spouse gets paternity leave from work, what do you need to do? Are there forms that you need to fill out and things that need to be done? What about the financial aspect of this? If you will be taking weeks and sometimes even months off work, what will you do about bills? It’s a great idea to start a baby emergency fund for these expenses, so that once you do have your baby, you won’t have to worry about paying your bills either. Speaking of bills, if you have certain bills that you have to pay each month, make sure that you have that handled before you go to the hospital to give birth. Nothing would be worse than having to worry about paying a past due water bill or electric bill while you were busy in the hospital delivering twins! One thing that most women who have never given birth to twins don’t realize is that just because they are having two babies, doesn’t mean that they actually need two of everything. This is what is known as a “rookie mom mistake” and can lead to lots of wasted money, not to mention wasted time and wasted space in the home. Sometimes, when a woman finds out that she is pregnant with twins, she rushes out and buys two of everything she thinks she might possibly need for baby. While this is a natural reaction and a way of women showing their excitement and trying to be prepared for baby, it’s not always logical or needed. Did you know that when it comes to twin babies, most of them actually can share many of the items needed for a new baby? The main thing to remember is that twins can actually share many of the baby gear products that new moms usually go crazy buying. Many women, as we mentioned, choose to leave their twins in the same crib until one of them learns how to roll over. Two cribs, or a double pack and play, is also an option. A double stroller is a must, and there are a ton of different ones to choose from. When it comes to swings, the expert multiple mamas agree that you should start with just one, and see how it goes from there. Your babies might not even like a swing, or you might be able to make do with just one. Two bouncy seats, however, are really a great idea! Since these are a great spot for babies to rest, take their bottles, or simply sit and relax in the bathroom floor while mom gets a much needed shower! Some things to leave off of your list? Baby mittens, which help to prevent babies from scratching themselves, are actually not needed. Instead, use baby socks to accomplish exactly the same thing for free, since you will already have socks around. Wipes warmers are also a waste of space and money, since no baby really needs a warm baby wipe on it’s tushie! Bottle warmers are also something that is sort of a waste, since the same thing can be accomplished with a cup of warm water that you stick the bottle inside of. Don’t fall for these silly gimmicks, and know that you can accomplish the same things for cheaper and easier. Of course, one of the most obvious aspects of having twins is that you ARE going to need multiples of some things. Some things, you will go through like water, and it’s important to start stocking up on these items as soon as possible. 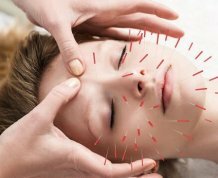 The number one stock up item, as recommended by doctors and other experts? You might have guessed it- diapers! 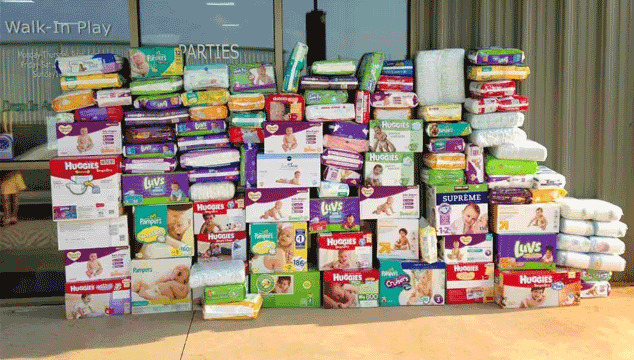 Whether you are using disposable diapers, or cloth diapering (you might be crazy! ), go ahead and start stocking up early, since this is something your babies will need for quite some time to come. Experts actually say that in the first two months, twin babies will use upwards of 1400 to 1500 diapers! That’s jaw-droppingly CRAZY! It’s also a good idea to go ahead and start doing research on the best car seats out there so that you can buy the ones that you are sure that you want. Car seats are what keeps your babies safe on the road, so getting the best ones possible is an important aspect of taking care of your babies. Getting ready for delivery with twins is another very important aspect of the twin pregnancy journey. This is especially true because twin pregnancy can be so unreliable, meaning, you really never know when you will go into labor or when you will deliver. Being prepared is of the utmost importance when it comes to these things. This means definitely having a hospital bag packed and prepared long before your due date, just in case you end up needing to go earlier than expected. Make a checklist of things to include, and go over it over and over again to make sure you don’t forget anything. Installing car seats in your vehicle, and preparing baby cribs at home are also important aspects of getting ready for delivery. Make sure to have a list of all family members and friends that you will need to contact, and have all hospital forms filled out and ready to go as well. This way you will be fully prepared and ready for whatever happens, any time you are ready to go into labor. Be prepared, for sure! Delivering twins is never a dull moment, and there is so much to plan. In fact, little usually goes according to plan when it comes to a twin delivery. Things can change and can happen so fast, that your well thought out birth plan can be gone in the blink of an eye. This is why it is so important to cover all of your bases when you are preparing for a twin pregnancy, so that you can be prepared and ready no matter what delivery day tries to throw at you. You can make a plan, and that is a great idea, but remember that you can not tell the future, and there is no way to tell if plans are actually going to work out or not. One important thing to remember is that it is very rare that a twin pregnancy makes it to a full 40 weeks. In fact, that is almost unheard of. Although with our tips above, your chances of reaching full-term increase ten-fold! Full term for a twin pregnancy is considered to be around 37 weeks gestation, although many twins actually do come much earlier than that. In fact, more than half of all twins are actually born prior to 27 weeks gestation, so that is definitely something to keep in mind as you prepare for your maternity leave and also for your subsequent delivery. In twin pregnancy, the baby that is developing closest to the cervix (also known as the exit!) is known to doctors as baby A. Baby B is the other baby that is developing farther back in the womb. It is important to remember that even if Baby A is in position to be delivered easily Baby B may still be turned or in a breech position. There really is no way to tell and there really isn’t a way to “fix” things if a baby, or both babies, are breech. It’s just a game of chance when it comes to delivering twin babies, and we always hope that things go well. There are so many things that can affect a twin delivery. Sometimes, moms to be might have problems with gestational hypertension (high blood pressure) or diabetes, which might complicate their delivery or cause them to need to deliver early. It’s very important to remember that things don’t always go according to plan when it comes to delivering twins, so keep that in mind and know that plans will sometimes have to change quickly during labor and delivery. Keep an open mind when you go into your labor and delivery, and make sure that you have doctors, nurses and a support team surrounding you, and you will have nothing to worry about, just leave it in the hands of your trusted providers. Even the best of plans can go awry when it comes to delivery and twins. Even if one baby is able to be born vaginally, it is not unheard of for Baby B to have to be delivered via C section. Sometimes Baby A is in the correct place and is able to be delivered perfectly, but then for some reason, Baby B might still be breech, or might be in distress from the trauma of the first round of uterine contractions. 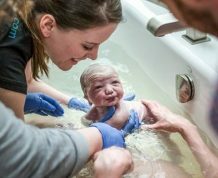 This is usually when a C-section after vaginal birth is needed, in order to get both babies into the world safely, quickly and easily with the least amount of trauma to mama or babies. 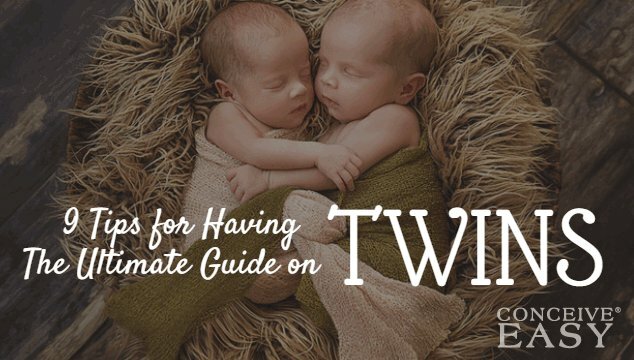 Its very important to realize and to remember that twin delivery is much different than delivering a single baby, and things might need to be addressed that you wouldn’t otherwise have to deal with. Most women who are having a singleton pregnancy already know that they have around 40 weeks to prepare for their baby. That means 40 weeks of organizing for baby, 40 weeks of working and saving money, etc. However, with a twin pregnancy, you can’t really count on that because you don’t really know when your delivery date will be. It can be very hard to plan this way, so definitely keep this in mind when you are planning your delivery time frame with twins. So, you have delivered your precious twins! Congratulations! At least you have gotten through the very hardest part! 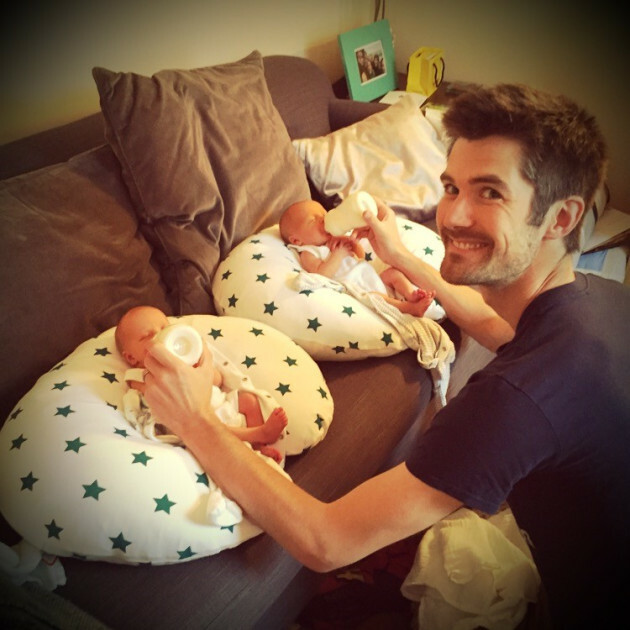 Bringing home twins can be a little bit scary, a little bit exciting, and a lot of happy! However, it’s really important to know and understand that bringing home twins is not an easy task, especially for a sleep deprived new mom. Even if you have had a baby before, chances are, you really have no idea what you are getting yourself into until you are actually there and dealing with newborn twins! Here are some tips to deal with your first few days and weeks at home as a new mom of twins, hopefully they will help you along the way! Going home after you have your twins is a very exciting, yet nerve-wracking experience and there are definitely some things to remember and keep in mind when you are bringing your babies home for the first time. First of all, don’t forget to slow down, try to relax, and take it all in! This is a once in a lifetime opportunity, so try to enjoy it and relish in the memories that you are making with your brand new babies! Of course, you will see this advice given on any parenting advice blog, article, video, class or anything, but that is just how important it is. “Sleep when the baby sleeps,” “rest when you can,” blah, blah, blah. We have heard all of that before, but it is especially and completely true when you have double the babies at home! If your husband is home from work, rest! If your in-laws come in for a few days to help, rest! If your sister drops by on her way home from work, rest! You are not being a hostess right now, you are a new twin mom and you are surviving! Focus only on taking care of your babies and taking care of yourself. Take note, because at this point in the game, your babies will be sleeping more than they ever will. 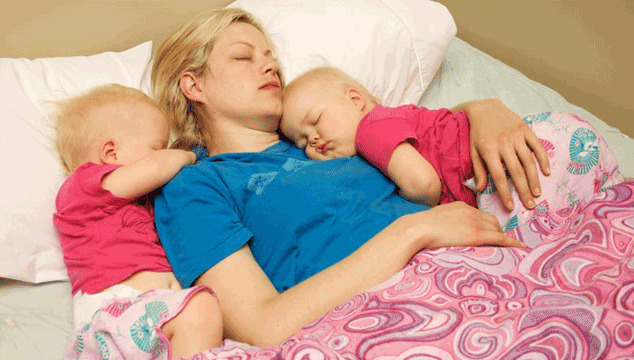 Most newborn babies, even if they are twins, will sleep about 18- 20 hours per day. If there was ever a time to “sleep when the baby sleeps,” this is it! We know, we know, it’s easier said than done, but give it your best try anyways! Even if it’s just a quick snooze on the couch while the babies sleep in the swing or bouncy seat, try to sneak in a little shut eye whenever you can! This is when those preparations that you made before delivery will really come in handy. If you made freezer meals for after the babies were born, you will be using them right now. If you made sure your home was clean and organized, you will definitely thank yourself for it! The main point is to rest and sleep and relax at any possible chance you get, and don’t feel the least bit sorry for it! Don’t be focused on laundry, don’t be worried about getting work done, or even catching up on your latest tv shows. Rest should be #1 priority at this point, and women should do whatever it takes to try to rest as much as possible during the first few weeks and months of their newborn’s lives. Giving birth takes a lot out of you, and when you give birth to two babies, you are going to be even more tired! Add to that the sleep deprivation and hormonal roller coaster rides that follow giving birth, and it’s no surprise that new moms are incredibly tired and in dire need of rest. This is probably the most underrated part of having twin babies, the importance of getting them and keeping them on a schedule. This is something that most people don’t realize the importance of, but can really make a difference in surviving the rough first weeks with newborn twins. For example, if one baby wakes up, go ahead and wake the other baby up. It might sound counter intuitive, but you have to get both babies on the same schedule if you are ever going to make it through. Feed both babies at the same time, even if you don’t think they are both hungry. This way, you are leveling the playing field, so to speak, and this can really help to get both babies doing the same things, AT THE SAME TIME, which is the ultimate goal of twin parenting! This one bears repeating, so repeat it we shall. If you are a new mom to twins, chances are you are going to have people, at least one or two of them at least, asking if you need help, and trying to make things easier on you. Some of us feel like we need to be superwoman all the time, and might automatically turn down the help, or feel like we shouldn’t be “bothering” our family and friends. However, that ends now! Go ahead and check your pride at the door, and start taking people up on their offers to help take care of things around the house and to help you get some rest. If someone wants to clean your house for you, let them. If someone wants to watch the babies for a couple hours so you can nap, or take a shower and go get a coffee, do it! If someone brings you a meal, eat it. Don’t turn down anybody’s help or offers, especially in the first few weeks of being a brand new twin mom! These are probably going to be some of the craziest times of your life, so take advantage of the help while you have it and use this as a time to “get your bearings” so to speak, as a new mom. Of course, we are not talking about handing over the reigns completely, but don’t be ashamed to let someone head to the grocery for you. Don’t be embarrassed if you want or need someone to pick up dinner for you on the way home, or if you need a friend to throw in a load of laundry for you. This is the time that it literally does “take a village,” so don’t be afraid to ask your fellow “villagers” for help! This goes without saying, since any sick baby can worry a mom to death, but two sick babies can be even worse. Even a simple cold virus can wreak havoc on a new twin mom, throwing everything out of whack and making even the simplest tasks oh so hard. For this reason, it is important to try if at all possible to keep everyone healthy during the first few months after birth. It’s definitely worth all the trouble, in order to try to keep both you and your new babies healthy and happy when they get home from the hospital. Nobody wants to end up back there, after all! Another important aspect of this is when it comes to visitors. Visitors are going to happen of course, since everyone will be oh so excited to meet the new babies. However, limiting visitors for the first few weeks is sometimes a good idea if you are concerned about passing sickness on to your babies. Keep some good hand sanitizer available and make sure that anybody that touches your babies washes their hands first. This isn’t being rude at all, it’s being real, and you have to remember that your guests are going to go home, and you will be the one left with sick babies, so do whatever it is you have to do to keep them protected. This is also a good time to mention that it might be a good idea to keep your babies at home during the first few weeks, perhaps even a month or so, of their lives. 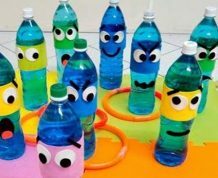 This can really help to cut down on their interaction with strangers, and therefore, their interaction with germs as well. This next one usually causes quite a bit of new mom guilt and anxiety, and this is true for all moms, not just twin moms. If you decide you want to breastfeed your twins, then by all means, go for it. However, if you decide that you want to formula feed your twins, remember, it’s not a big deal! However you decide to feed your babies is your own personal choice, and as long as they are eating, growing, and thriving, it really doesn’t matter too much one way or another. This one is another example of perception versus reality, and really it only matters that you are a mommy taking care of her babies the best way she can. Many women start out wanting to breastfeed their twins, which is admirable. However, quickly they find out that breastfeeding with two babies is much harder than breastfeeding with only one baby, not to mention the fact that milk production is impaired since two babies are drinking the milk instead of just one. Also, fatigue, which often accompanies life with newborn twins, is not that good on milk production, and can cause a real problem. Basically, the moral of this story is, however you can feed your babies and however you are comfortable feeding your babies, that is going to end up being the right choice for you. Don’t listen to what anyone else says except for you. Follow your gut, follow your instincts, and know that as long as you are feeding your babies, there is no wrong answer. This one is a great tip, especially at the very beginning. Being able to regulate your babies sleeping and waking cycles is very important, as we already know. So, keeping your babies in the same crib at the beginning is actually a great idea. Think about it. They are already used to being together, they have been together for the whole journey so far! Keeping your twins in the same crib after they are first born is a great way to help them regulate their eating and sleeping cycles and get them on the same track. Be careful, because this one will only work for the first two to four months, until one or both of the babies learn how to roll over. After this point, both babies will probably need to be moved to separate cribs. It’s also up to you if at the point of bringing the babies home, if you choose to put them in bassinets. Some women like to do this, but other moms say that it’s a waste of money and a waste of space. Sometimes, when things get rough, you just have to call in reinforcements. Hopefully, by this point in the game, you will have been saving up for your twins’ birth, and will have some money squirreled away into a baby emergency fund. You might also be getting paid for your maternity leave at this point. 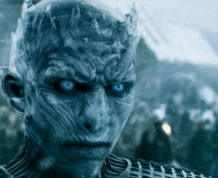 If you have the extra funds, really consider calling in some reinforcements and getting yourself some help. Consider hiring a cleaning service to come in for a couple of hours per week and get your house under control. If you don’t have family or friends around who can help you with baby related stuff, you might also want to consider hiring a nanny or babysitter. Another really great option is hiring a mother’s helper, which is like a babysitter but usually a younger teenager. Mother’s helpers are not left alone with the baby, but can entertain them while you nap, get a shower, get work done, or just take a breather. 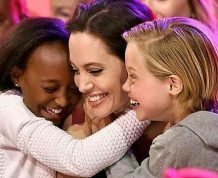 An added bonus is since mother’s helpers are usually younger teens, they are usually paid a much cheaper rate than say, a licensed nanny who you would leave your babies alone with during the day. It can also be really helpful to stock up on gift cards to your favorite local restaurants so that you can pick up something quick and easy for dinner, lunch, or even a small snack during the day when your brain is too tired to even think about cooking. This can be a great thing to stock up on during your pregnancy, as well as those freezer meals we were talking about earlier. This way, you will at least have something to eat covered on those days where surviving is pretty much all you’ve got! You might not think it’s a good idea right now, but at some point during your pregnancy or early twin mom experience, you should really consider joining a moms group just for moms of twins. There are usually some local to where you are, where you can actually get together with other moms, compare notes, and commiserate on your experiences together. If this isn’t an option for you, make sure to join an online message board or online support group with other twin moms. There are tons of different ones out there and these support groups can really make all the difference when it comes to having someone to rely on and lean on especially during those early days. Even if you do have a strong support group of family and friends, it’s still really nice to have people who “get it,” and who have been there and can help to guide you when you are just starting out. This one might not sound like it actually fits in with the other tips listed here, but believe us, it does! Stress is one of the biggest things that can impact a marriage, and there is no stress like new baby stress! When you multiply that times two babies, it is easy to see that marriages and relationships can really suffer when you bring home two brand new babies at the same time, and try to get used to a whole brand new life! Definitely make time for each other, even if it’s only a glass of wine after the babies go to sleep, a quick episode of a favorite show on the couch, or running to grab a coffee together while grandma sits with the babies for 30 minutes. Whatever you can do to make each other a priority during this very stressful time will go a long way towards the future of your relationship, and will help to make you a stronger couple. There’s nothing that benefits kids more than a happy, strong, healthy family unit, so do whatever you can do to work on that and make that happen. This one is really important,and it’s something that many women take for granted. We have already talked a little bit about making sure to sleep when possible and taking as much help as possible, but that’s only a tiny part of the game. Taking care of yourself goes way beyond just sleeping when you can and getting help from family and friends. First of all, make sure that you are still taking a daily multivitamin or even your prenatal vitamin every single day. This will help you to get enough of your daily vitamins and minerals, even if you are not eating right all the time. It can also help to give you an energy boost. It’s also important to make sure that you are eating well when you are in your first few days, weeks or months postpartum. This is going to play a big role in how you feel, so try to eat small, healthy meals that will keep you energized and feeling your very best. Make sure to also see your doctor for all of your scheduled postpartum checkups, to make sure that you are healing properly, and to discuss any possible issues that might be there. Getting enough exercise is also a really important aspect of healing and getting back to normal after having twins. It’s a great way to make yourself feel better and also reduce stress. It’s also important to make sure that you are making time for yourself, whether it be a quick shower, a coffee run, getting your nails done, or a massage. Whatever else makes you feel good is definitely good when it comes to self care. Make sure to get out of the house every once in awhile as well, get out, talk or laugh or just eat lunch with a good friend. Making time for yourself will go a long way towards your overall well being and mental health, and will be great for making you not only a better mom, but a better person as well. In conclusion, you can see that having twins is not an easy task. From the getting pregnant with twins part, to navigating a sometimes stressful and taxing twin pregnancy, to bringing home two brand new bundles of joy, having twins is not for the faint of heart, and it can take a lot out of a person. 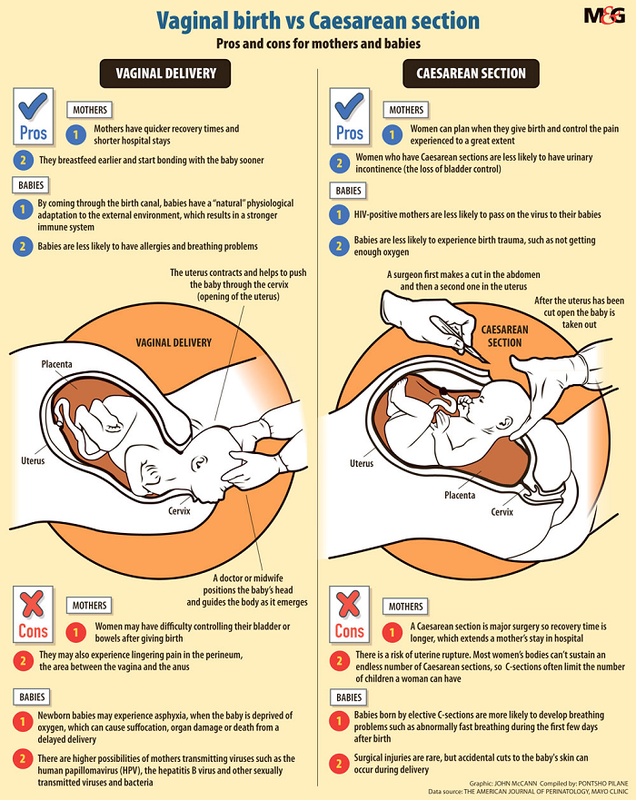 You can consider this our full guide to getting pregnant with twins, being pregnant with twins, and living life as a new parent of twins. Of course, not all of these tips and tricks will apply to every family and every situation, but hopefully you will find some of these things to apply to your particular case and to be helpful in your situation. Stay in close contact with your doctor during the duration of your pregnancy with twins, and make sure that you take advantage of any and all help that you are offered in order to make things as easy on you as possible. But most of all, enjoy your time with your babies, enjoy this gigantic blessing that you have, and don’t take any of it for granted. Oh, and by the way, Happy twinning!